“What’s the LindenWord?” is where hosts Rachel Higgins and Caroline Campbell talk about all things dealing with Lindenwood and it’s students. In the third episode, the girls bring up some controversial news that happened on campus last week, highlight the men’s soccer team, and chat with special guest Gina. This podcast comes out every Wednesday and does not reflect the opinions of Lindenlink staff. 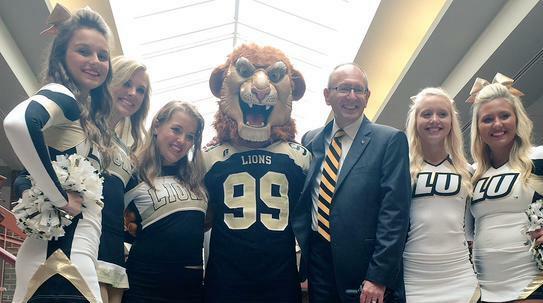 Published Aug. 25, 2015; 7 a.m.
Michael Shonrock, Lindenwood’s 22nd president, took office June 1. Before coming to St. Charles, he served as Emporia State University’s president in Emporia, Kansas.